Happy New Year Poker Cheats, Casino Cheats, Casino Cheat Catchers and Poker Cheat Catchers! The order of my blog-post-title New Year wishes has no bearing on to which group I wish the happiest New Year. And of course, Happy New Year to those of you who do not fall into any of these categories as well. 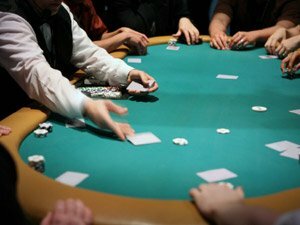 As many of you know from previously reading my blog or my books, New Year's Eve is the most profitable date on the calender year for poker cheating and casino cheating, especially casino cheating. On one particular New Year's Eve in the mid 90s, my casino cheat team booked more than $125,000 in profits--in one sole casino! Of course it was Caesars Palace in Las Vegas, the casino my cheating teams worked exclusively over five New Year's Eves in a row! I have been retired for a while now, but that doesn't change the fact that the world's current best casino and poker cheat teams were out there working last night. I have yet to hear any solid reports of big-time casino cheating incidents, but I did hear that two former partners of mine, Bats and Balls (they go together in the casinos just as nice as their nicknames sound), were back at it in Vegas last night, probably performing the Savannah move. I am never surprised to see Balls back cheating the casinos as he has always been a big blow-off artist in poker games and sports action and constantly needs cash infusions to feed the gambling habit. I am also eager to hear of any major cheating busts coming out of casinos worldwide during the holiday weekend. I suspect we will be hearing some of this type of news out of Singapore, whose two new megacasinos have been plagued by cheat teams since opening earlier in 2010. As soon as I get this news I will pass it along. Right after Annie Duke ended her association with UB.com, formerly UltimateBet.com, the online poker site on which played out the biggest cheating scandal in history (in both online poker and brick and mortar poker), UB.com has announced that Phil Hellmuth as well will be disassociating himself from the former cheating online poker site. On the UB.com blog: "Today we are announcing that UB.com and Phil Hellmuth have mutually parted ways. It has been great working with Phil over the last decade and we know we’re with the rest of the poker world when we say that we look forward to Phil's next move on the world poker circuit." Poker pro Joe Sebok, the UB.com PR man, wrote on his blog about this big double-departure and even suggested that more changes will occur at UB.com. Sebok's words: "Phil and Annie have been the face of the company for years now, and we thank them for their unbelievable contributions and bid them the utmost in success moving forward. With that said, we look forward to 2011, and I believe it will be the finest year that we have ever had at UB. Speaking of Team UB, while it’s true that two of our members have moved on, don’t think that we aren’t restocking the talent. We’ll be announcing our newest Team UB member next week and I am crazily pumped about it. UB has, and will continue to have, a whole new look and feel for our team and our newest signing exemplifies that, so stay tuned for that announcement next week." My take: Sebok is simply doing his job "pumping up" the what's-to-be's at UB.com. As for Duke and Hellmuth, they simply decided that being associated with UB.com can never escape the online poker cheating stench of UltimateBet.com and Russ Hamilton, the cheating scam's mastermind, so they cut the cord. Probably the best for both of them. Nine Casino Cheats Including Three Dealers Go Down in Milwaukee Casino Bingo Scam! Nine people, including three former casino employees, have pleaded guilty in federal court to cheating Potawatomi Bingo and Casino in Milwaukee out of thousands of dollars by rigging the Pick 8 bingo game. About $160,000 was stolen in 2005 and 2006 through a simple scheme organized by casino employee Deandre Russell, according to court documents. Russell is facing about two years in prison under federal sentencing guidelines when he is sentenced next year by U.S. District Judge J.P. Stadtmueller. The other defendants, who admitted helping Russell in the scheme, face less time because the amount each stole was less than Russell's total take, according to their plea agreements. After the casino learned of the theft, officials made changes, Potawatomi casino spokesman Ryan Amundson said. "It is important to ensure the integrity of our games," Amundson said. "Immediately following the incident, procedures were put in place to prevent this kind of thing from happening again." Amundson said he was unable to talk about what the changes were. He also said he could not confirm when Russell worked at the casino. Court documents indicate Russell worked at the casino in 2005 and 2006 on the bingo floor. Two other people who had worked at the casino, Gloria M. Rivas-Santiago and Esmeralda L. Fuentez, pleaded guilty to running a scheme they said they learned from Russell. Russell's attorney did not return a call for comment. Russell devised the scheme to fix the Pick 8 bingo game so his associates would win and split the money with him. In the Pick 8 game, players would buy a card with carbon paper on the back, write down eight numbers and then drop the carbon paper into a clear locked box, keeping the original card. Players were supposed to put only the carbon copy into the locked box. Bingo balls with numbers would pop from a machine and the numbers would be called. If a player's numbers were in the first 20 called, the player won the jackpot. The winner would produce the original card and employees opened the locked box to look for the carbon match to it. The jackpot started at $10,000 and went up $500 each day there was no winner. Russell instructed his accomplices to keep a blank card and fill in the numbers as they were called. They announced they had won and hand the card - with carbon still attached - to Russell, who was working near the locked box. Russell would discreetly separate the carbon copy and slip it into the locked box while he and other employees searched for the matching carbon copy. Once an accomplice took the winnings, he or she would split them with Russell. Russell confessed to the FBI in early 2007. Others confessed earlier this year. A grand jury indicted him and eight others in July. The other defendants are Johnnie L. Tisley, Jennifer Y. Rawls, Edward D. Conley, Cassandra O. Tenner, Jesse B. Torres and Torlan D. Baldwin. Lee Jones and Online Poker Cheat Catcher Serge Ravitch Resign From Cake Poker! Despite departing the site, Jones, who is also a Guest Columnist at Poker News Daily, spoke highly of his former colleagues: “Please direct any questions or concerns to the Cake support staff; they are top-notch people.” Cake Poker is the flagship site of the USA-friendly Cake Poker Network. Also departing Cake Poker concurrently with Jones is Serge Ravitch, who is known in the online poker world as “adanthar.” Ravitch served as Cake Poker’s Tournament Director and Jones affectionately dubbed him the “Minister of Tournament Arts” in homage to the Harry Potter franchise. Ravitch was one of the figureheads in uncovering the cheating scandal at Absolute Poker. Ravitch posted in the same TwoPlusTwo thread on Tuesday, “It sincerely pains me to say that, for the same reasons, I am also no longer affiliated with Cake in any way. I wish them the best of luck going forward.” What “strategic decisions” Jones and Ravitch alluded to were not clear at the time of writing. In addition, Cake Poker has not released any statement. Jones could only tell Poker News Daily on Tuesday afternoon, “I’m just not comfortable with some of the decisions that the Cake management was making.” However, the veteran of the poker world hopes to remain in the industry, explaining to us, “I have a couple of irons in the fire. I certainly have every intention of staying in the poker business, so I’ll have to see what pans out.” Jones formerly brought customer service to new heights while with PokerStars and also worked with the European Poker Tour and CardRunners. According to PokerScout.com, which keeps tabs on online poker room traffic, the Cake Poker Network is the 24th largest worldwide and boasts a seven-day running average of 740 real money ring game players. Its peak traffic passes 1,100 cash game players and the family of sites happily accepts action from the United States. Besides Cake Poker, other rooms on the Network include the Doyle Brunson-fronted DoylesRoom, Only Poker, Poker4Green, Ilari “Ziigmund” Sahamies’ Power Poker, Red Star Poker, Phil Laak’s Unabomber Poker, and Victory Poker, the latter of which joined in August. The holidays have not been kind to the Cake Poker Network, which has not eclipsed the 1,300-cash game player mark since December 21st. In the 30 days prior, it passed 1,300 ring game players 14 times.